Are PRINCE2 Certifications Worth the Cost? Is it Worth the Time and Cost to Study for a PRINCE2 Certification? These days, experienced project management professionals are highly sought after. Using their experience (and, typically, a standardized project management methodology), they can help organizations to not only save time and money but also ensure that projects are completed with a much higher level of quality. Many project manager will also pursue corporate certifications, as these can provide excellent validation for a candidate’s abilities and experience. This, in turn, can help candidates to take on more responsibilities, unlock higher-paying roles and advance their careers. The growing need for structured and efficient project management has led to the growth of several standardized project management frameworks, with the most popular being PRINCE2. Most career project managers and consultants have at least some awareness of ‘PRojects IN Controlled Environments’, but the value of the framework does not speak for itself. Potential students will still want to know exactly what PRINCE2 is composed of, how it can help organizations and, most importantly, whether studying for certification will be worth the required cost and effort. Let’s take a look at the real value of a PRINCE2 certification! PRINCE2 is the world’s most popular project management methodology. In a nutshell, it is a process-based methodology with a number of clear steps designed to add value to projects. It has been widely used by the UK government, as well as an ever-growing variety of companies around the world. 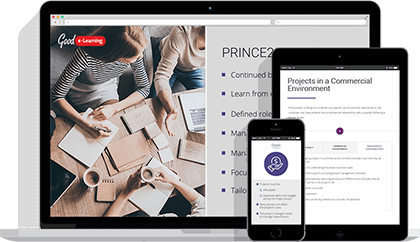 With a standardized and easily-repeatable process, PRINCE2 is ideal for organizations which want to run projects with greater efficiency and reliability. One of the most important things to note about PRINCE2 is that, while it offers a comprehensive approach, it is also general and non-prescriptive. The methodology can be amended depending on the needs of individual projects and environments. This also ensures that it can be used by virtually any organization regardless of its size, industry, sector or location. Another crucial selling point is the framework’s approach to risk management and assessing user requirements. In essence, it helps users to cover all the necessary bases during the planning stage of a project, helping them to avoid potentially expensive delays later on. The framework also encourages managers to constantly reassess their work in relation to a project’s ‘business case’. In other words, the work must be targeted, with business benefits outweighing the required expenditure. Projects will be reviewed at several points to help with this, ensuring that they can be amended or dissolved before they cause too much wastage. Overall, PRINCE2 offers an excellent framework for planning and executing successful projects in controlled environments. Both PRINCE2 and PRINCE2 Agile offer valuable certification paths with a great deal of practical advice. Even if you choose not to pursue Agile training, it will still be worth making yourself at least partially aware of Agile methodologies. The best choice will ultimately depend on your own needs or those of your organization. So What is the Value of a PRINCE2 Certification? As we have mentioned previously, one of the most valuable aspects of a PRINCE2 certification is that it will validate a candidate’s experience with, and understanding of, popular project management concepts. The certification is particularly popular in Europe, the United Kingdom and Australia, though there is also demand for it in the USA, Asia and elsewhere. Not only is PRINCE2 globally recognized, but it is also generic enough to be applied to virtually any industry or sector, ensuring that experienced users will almost always find demand for their talents. The opportunities and credence offered by PRINCE2 can provide a huge help for users seeking to advance their careers. According to Indeed, employees with PRINCE2 certifications can earn between $85,300 and $135,300, or between £35,000 and £65,000 for the UK. PRINCE2 Agile certification holders, meanwhile, can earn between $100,000 and $145,200, or £35,000 and £65,000. You should keep in mind, however, that a certification is not a guarantee of reaching a higher salary. You will also need the right amount of experience, as well as examples showing your ability to apply PRINCE2 in practice. Still, there are a wide variety of organizations using the framework, and so finding opportunities to gain experience in a project management office (PMO) should not be too difficult, depending on your location. How Much do PRINCE2 Exams Cost? Before you start thinking about the cost of studying PRINCE2, we should warn you about the importance of using an accredited training provider. Make sure that you avoid any companies which drastically undercut the competition or promise fast qualifications. Typically, these courses will be poor-quality, and they may not even be accredited by AXELOS Ltd. If this is the case, even if you earn a certification, it will not be recognized. Good e-Learning boasts an award-winning portfolio of top-tier e-courses. We cover many of the world’s most popular standards and frameworks, including PRINCE2, ITIL 4 and TOGAF 9.2. More importantly, we understand how difficult corporate training can be; because of this, not only do we make our courses fully-accessible even on mobile devices and tablets, but we also provide months of course access, making it easy for candidates to find time for training. Best of all, candidates studying PRINCE2 with Good e-Learning can also receive FREE vouchers for the official exams! Project Management Professional (PMP)® - A highly popular industry-recognized project management certification. PMP certified project managers are in high demand, enjoying not only increased career and networking opportunities but also higher salaries. Once you see the real value of PRINCE2, you may even choose to become a reseller and offer our courses to your own clients, all at zero cost to you! Best of all, our courses can be accessed via multiple devices. Whether you are traveling, killing time or just sat at your desk, you can continue your studies whenever it is convenient for you. Want to learn more? View our full portfolio of Project Management courses, or find out more about corporate PRINCE2 training!